The iPhone 5 is many things. It's a pinnacle of product design. It's a mild annoyance for iOS app developers. It's very probably the next phone you buy. And it's also, by broad consensus of the people who follow these things, totally boring. Of course it is. Anything else, at this point, would be insane. It's easy to forget, with as much emphasis as Apple puts on its biannual show-and-tell extravaganzas, that its primary objective isn't to entertain us. It's to sell iPhones. Millions and millions and millions of iPhones. The iPhone 5 will be on shelves on September 21st, which is one week before Apple's fiscal year ends and the holiday quarter begins. How important are those three months to Apple's bottom line? Last year during the same period, the iPhone 4S drove Apple's fiscal first quarter smartphone sales to 37 million units, and an overall profit of $13 billion. To put that in context, that's more money than Google made in all of 2011. Those numbers aren't just impressive. They're unprecedented. The iPhone is the most valuable asset of one of the most valuable companies in history. So the question we should be asking isn't why didn't Apple make it more exciting. The question is—other than the standard spec and feature bumps—why would Apple change the iPhone at all? There's a reason Coca-Cola's used the same formula for a hundred years. 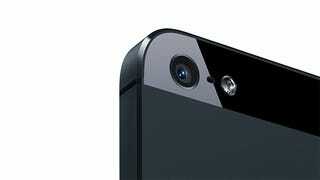 That's why, when we say the iPhone 5 is boring, we really mean the iPhone 5 is safe. It's familiar. It's the same phone in slightly different packaging. And, most importantly, it's still very recognizably the most popular smartphone in the world. If you've won the first two legs of the Triple Crown, you don't suddenly trade in your thoroughbred for a one-eyed pony because it's more interesting to look at. Not being boring requires taking risks, and risk is not something Apple does. Not anymore. Why would it? It can skip out on 4G for more than a year after its competitors have it and no one blinks an eye. NFC? Wireless charging? Pass, thanks. And Apple will keep playing it safe until iPhone sales decline. That might be boring, but it's also just good business. And it's always been like this. The original iPhone didn't have 3G. The iPad didn't have a front-facing camera. USB 3.0 and Thunderbolt both came after PCs had embraced high-speed standards. Apple doesn't make products for early adopters. It makes products for the billions of people who buy things they can easily access and understand. The worst part? In a vacuum the iPhone 5 is actually really exciting. For whatever half-baked features it skips out on, it's still a technological marvel, and may well prove to be the best smartphone you can buy. If the worst thing about it is that it's not different enough from a phone that tens of millions of people a month spend hundreds of dollars to buy, well, that's fine. If you think the iPhone 5 is boring, I've got bad news for you. The iPhone 6 will be, too. And the iPhone 7, and every iPhone after that. Minor aesthetic variations on the same well-loved theme. They'll also, in all likelihood, be fantastic. The only thing that will change the iPhone's design is a dramatic decline in iPhone market share, but that doesn't seem in the offing. Not any time soon, anyway. It takes years to slow down a juggernaut. So get comfortable with your boring iPhone and your boring iPad and your boring MacBook Air. They're that way because they have to be. Because we want them to be. Because it's the only way that makes sense.